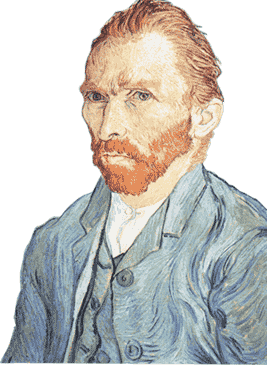 His father was a minister in Dutch Reformed Church, and that role influenced young Van Gogh to become a missionary in his younger days. Also, his grandfather, Vincent, had a degree in theology and had six sons three of whom were in the art dealing business. One of these sons, Van Gogh's uncle, was a famous sculptor at the time and was addressed as "Uncle Cent", by the young Van Gogh. Needless to say, art and religion had a major presence in Vincent Van Gogh's family. One could conclude that this upbringing influenced young Vincent in his choice of future professions. As a young child, Van Gogh was characterized by his seriousness, silence and deep thought. He went to a Catholic school, in which one teacher taught about 200 children. Later, he was homeschooled with his sister. When he was 11 years old, he was sent to a boarding school that was about 20 miles away from his home. Van Gogh himself pointed out later in his life that he was bothered and stressed because he had to leave his family at such a young age. When Van Gogh was 13 years old, he went to a middle school in Tilburg, where he met with Constantin C. Huysmans, a famous Parisian artist that taught Van Gogh how to draw. Huysmans explained to Van Gogh how he can systematically build up his drawing skills. Even though he was drawing since he was a child and he really liked drawing, Huysmans was one of the major influences that led him to choose a career as an artist. When Van Gogh was almost 15 years old, he couldn't handle the pressure of being away from home for any longer. So, he left school and returned home to his family. Uncle Cent wanted to help young Van Gogh and arranged a job position at one of the art dealing companies for him when he was only 16 years old. 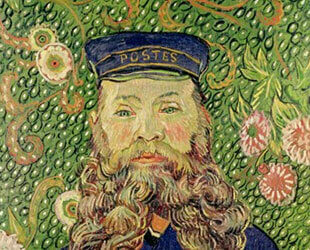 It was at this job that Van Gogh started his training and work in the city of Hague. 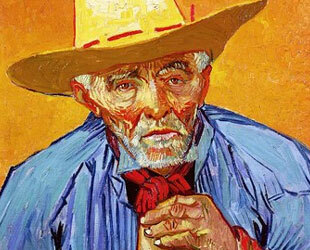 When Van Gogh was 20 years old, he was at the peak of his art dealing career. Van Gogh was working in London and was earning more money than his father. He noted in his letters that that was a very happy period of his life. During this time, he also fell in love with Eugenie Loyer, his landlady's daughter. When he told her about his feelings, she rejected him by saying that she had been secretly engaged to someone else. That triggered Van Gogh's need to be more alone and more dedicated to religion and art. 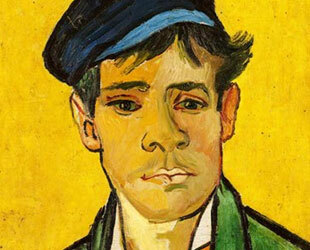 He was later transferred to Paris, where he was disgusted when he saw how people treated art. They treated art as a good meant for trade and nothing more. This made young Van Gogh angry. When he was 23 years old, his employment was terminated and he returned to England and worked there for free as a substitute teacher in a boarding school in Ramsgate. When the owner of the school moved to another city, Van Gogh followed him, but their arrangement didn't work out and he soon went back to his home in Netherlands. 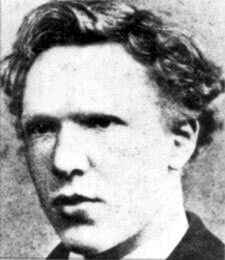 When Van Gogh came back home, he found a job in the city of Dordrecht, as a bookstore worker where he worked for six months. He wasn't very happy with his job, so he used a lot of his free time to draw and translate different parts of Bible to English, French and German. While he was working there, he didn't eat enough and avoided eating meat in general. While he was working, his religious desire grew and he felt what his true calling at that time was. He wanted to become a pastor. So, his family sent him to Amsterdam to be a student of Theology. He was only 24 years old at that time and was staying with his Uncle Jan that was a naval Vice Admiral. He was preparing for his exam with his other Uncle, Johannes Stricker ,that was a respected theologian at that time. After a year, he didn't pass the exam and left his Uncle Jan's home in search of another chance to pursue his religious career. He went to a Protestant missionary course that lasted three months but failed. Finally, he settled down and became a missionary in a small village in Belgium. Living humbly in that village, in a small hut behind a baker's house, he preached religion. 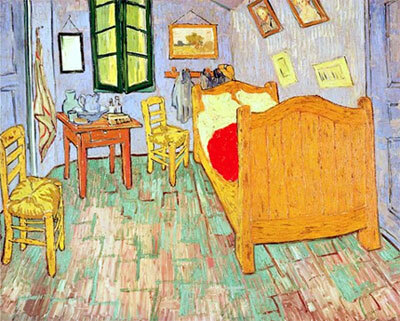 The Church of that time had high standards and dismissed the humble Van Gogh because he was living in poor conditions. 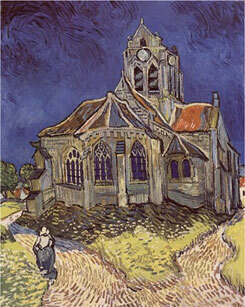 The church considered Van Gogh's lifestyle to be a negative representation of priests in the Church. After losing his position at the village in Belgium, Van Gogh traveled on foot to Brussels and several other places. Finally, he once again returned home to his family. At home, he had a conflict with his family and after about a year, he went back to a village of Cuesmes where he was inspired to attend the Royal Academy of Arts in Brussels.